Most people with multiple devices like PC, Tablet and smartphone probably use some sort of file syncing solutions based on cloud services like dropbox, box or Ubuntu One. AeroFS comes to change this by removing the need for the middle part of the file syncing technologies (cloud storage or server). 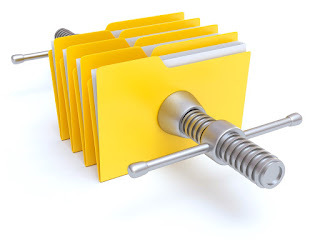 Technically, AeroFS file syncing is based on "peer-to-peer filesystem" where all the devices you have installed AeroFS on, are contributing to this file system. Communication happens peer-to-peer, so any two or more devices can talk to each other directly, without a middleman server, and regardless of whether you're on a corporate LAN, on the Internet, or in any other network. You also do not need Internet connection on a home network. Install aeroFS on two or more home computers and unplug your home network from the Internet. Update some files on these computers, and you will see that AeroFS still syncs in this isolated network. Each computer running AeroFS has a 2048-bit RSA key, certified by AeroFS service to be authentic. This prevents "bad guys" from being able to impersonate you. When two computers communicate with each other, they perform "mutual authentication" using the keys. Because the connection is encrypted directly from one device to the other, data "in transit" is end-to-end encrypted and is safe from attacks. The best part is that you can securely share your folders with anyone who has an e-mail address like your friends, your family or co-workers. AeroFS file syncing is free, whether you want to share 1, 10, or 1,000 GB. You most probably already have all the storage you need because your files are only stored in your devices and not on the cloud. This file syncing technology is yet in Beta state and in "invite only state"... so go to https://www.aerofs.com/ and add your email. Don't expect to hear back soon if you add your email to their invitation list. I've been on the waiting list for a year and a half now. I have an Ubuntu 13.04 raring installed on my desktop which is loaded with 3TB of data. Apart from this, I have a Google Nexus 7 tablet and a Sony Xperia Go(both are Android devices). I have installed AeroFS on all three devices. My key purpose to use AeroFS is to sync data from my desktop to my Android devices using "LAN" and not the internet. Which means that even if I disconnect my router from the internet, my Android devices(which are connected to my router/home network on WiFi) should sync with my desktop via AeroFS. But, unfortunately this is not happening. My syncing happens only with the help of an internet connection and not through LAN. When I disconnect my router from the internet, it says "No response from remote device"